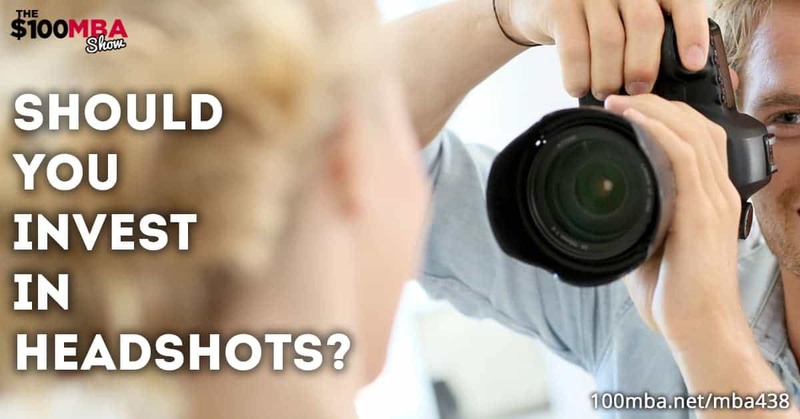 Should You Invest in Headshots? MBA438 Should You Invest in Headshots? Are you wondering if you should spend time and money for headshots that are professionally done? How much would it cost in terms of time and money? Are there any benefits to getting it done professionally? Does it mean more sales? And most importantly, do you really need it? Let us tell you our opinion in this episode. Press play! Consumer feedback for any business decision. get customer research for every decision. As a $100 MBA listener, you can name your own discount. at no cost with no limit. To redeem this offer visit survata.com/mba. « Previous Post MBA437 Should You Offer an Affiliate Program For Your Products? Next Post » MBA439 Is Using LinkedIn Important as an Entrepreneur?